Well, the “big book” is done, edited, proofed and off to be printed, bound and due for publication early next year. This means I finally have a chance to catch up with publishing some patterns that have been waiting ages for their big moment! I know it’s a bit early to be mentioning the “C” word, but if you’re planning on some hand made gift giving or decorations then you need to get started asap!! So, I thought I would start with a new addition to my festive pattern range. How about embracing the Nordic theme with these pretty Scandi baubles? Easy and quick to make they are ideal for beginners and offer lots of scope for embellishment (a great excuse to raid your button jar, ribbon box or visit a craft store). 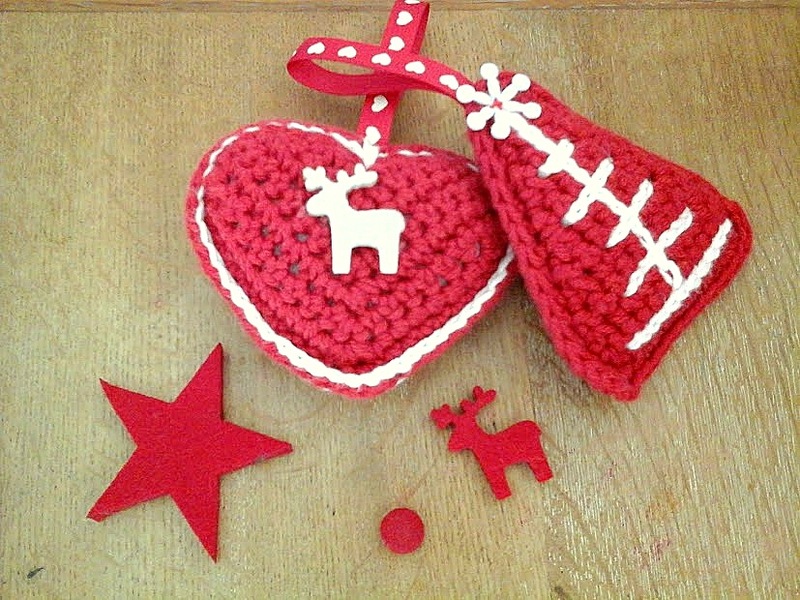 You can find the pattern on Etsy (click on the link on the right), Ravelry or Love Crochet. 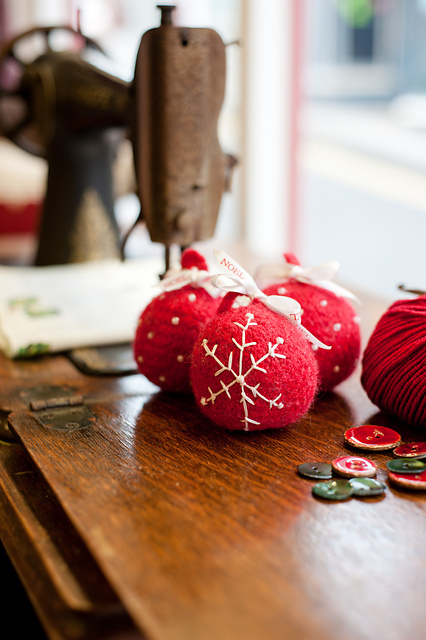 These felted baubles are also a favourite of mine, if your prefer, use a 3.5mm hook and dk weight cotton yarn and don’t felt them, this way you’ll have a pretty coloured bauble to hang on your tree or make into a garland. 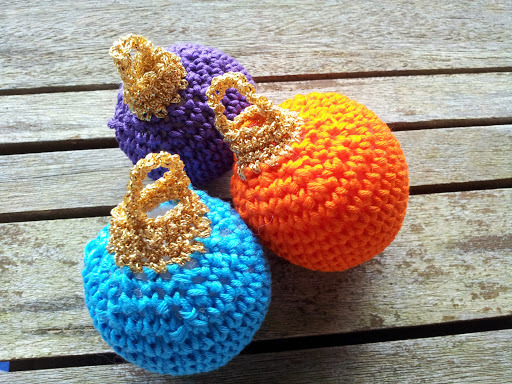 Add a little gold or sparkly yarn for a bit of bling! Finally, how about a little gift? Something quick to make, easy on the purse and suitable for beginners (or for making in front of the tv)? 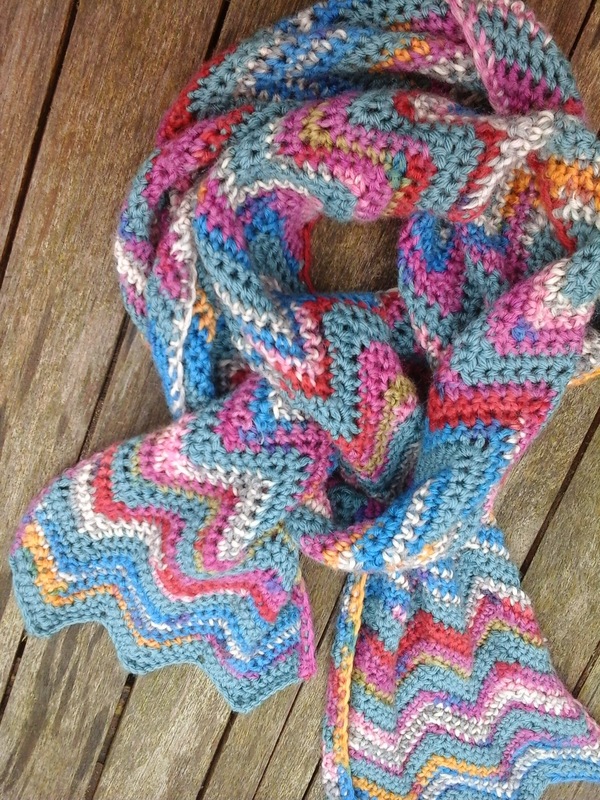 My chevron scarf uses one ball of sock yarn and looks fabulous on everyone – if you prefer, you can sew the ends together to make a cowl – or “eternity cowl” – I’ll admit I’m not sure of the difference! Either way, it makes a great gift. 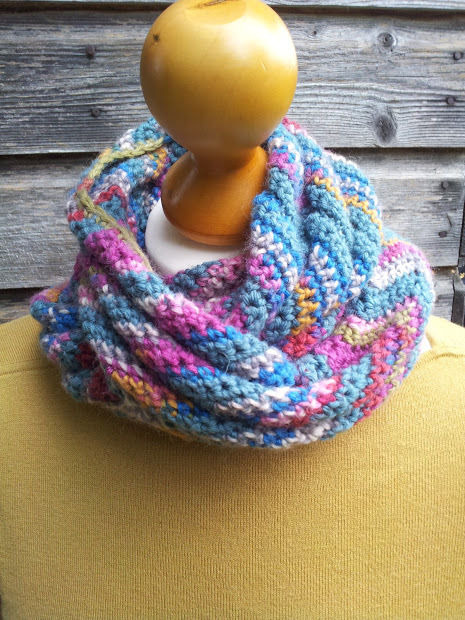 Click on the photo on the right to find the free pattern here on the blog. I have lots more new patterns to share with you, so do keep an eye out for sneaky peeks on Instagram and I’ll be back soon with some lovely stashbusting homeware ideas – and a few more festive makes!